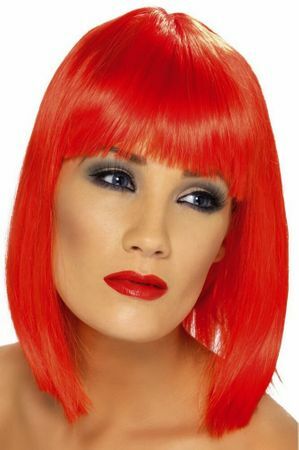 Glamorous shoulder-skimming wig in vivid neon red. Straight hair with blunt bangs. 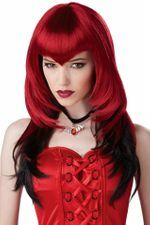 Great for a vampire or devil costume! 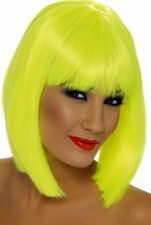 For the best look, pair it with a nylon wig cap. 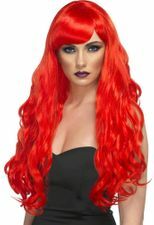 See more options in our Red Wigs section!